Those present at the 1999 Marlboro Masters at Zandvoort, the annual unofficial F3 World Championship event, found it quite presumptious for biker Max Biaggi to step into the F1 Ferrari and pretend he could be the Scuderia's new number two for the year 2000. And then 'Mad Max' made some remarks about being on the pace within one season. Everybody thought that was quite funny. Sure enough we had had multiple 500cc champion Wayne Gardner make a cross-over to Australian touring cars and Japanese GTs. But they aren't single-seaters, are they? Oh well, all right, Johnny Cecotto has been a sometime Formula 1 driver but his main accomplishments on four wheels are also in tintops. Then we have Eddie Lawson's brief four-wheeled antics, and ex-motocross daredevil Jeff Ward braving it out in the IRL these days. And that's about it. Right? Wrong. You would be discounting two of the greatest motorcycle racers making an immediate impression in F1. And Mike Hailwood and John Surtees weren't easing themselves in through the lower categories. They just hopped into an F1 car and were bang on the pace. Take that for bikers unable to make it on four wheels. Of course, the story of John Surtees is well known by now. The only man to win world championships on both two and four wheels got in touch with car racing purely by accident. It was during the 1958 Sportsman of the Year event at the Dorchester in Park Lane, London, that "Big John" met up with newly crowned F1 World Champion Mike Hawthorn and F1 team owners Reg Parnell and Tony Vandervell. Mike was a keen motorcyclist himself, owning a trials bike. In fact, John and Mike that night agreed to go head-to-head on a press trial in the near future. It was never to happen, as Hawthorn got killed one week later in a road accident. Tony Vandervell, who was about to be honoured for winning the inaugural Manufacturers World Championship with Vanwall, was also involved in bike racing through his part-ownership of Norton, whose motorcycles Surtees used to ride in British events. The links between the Norton and Vandervell companies were so close that the Norton engine design was to form the basis for the Vanwall F1 powerplant. The four joked about a blossoming F1 career for Big John, who was raking in one motorcycle world championship after another for Count Agusta. "You must try cars, John", Mike said at the dinner table. "But I love my motorcycles," Surtees replied. "Yes, they stand up easier," Hawthorn quipped. At first, Surtees didn't give much thought to the idea, as he went on to collect another two championships on Agusta's MV machines. For 1960, Agusta then made a decision that would ultimately change John's mind about cars: the count wanted him to concentrate on world championship events since in Agusta's view racing Nortons in British events would detract from his MV Agusta effort. Surtees didn't like it, but he had a contract to honour. Then he received a phone call from one of his table companions from that illustrious evening back in the winter of 1958. Reg Parnell was taking Stirling's Nürburgring-winning Aston Martin DBR1 to Goodwood for some testing. Would he like a go? John said why not, it would be new experience. "I had never been close to a race car before," Surtees recalls in the 1999 Festival of Speed programme guide, "my world was two-wheeled." He then gives account of his first four-wheeled laps. "Reg's mechanic, Jimmy Potten, got me comfortable, fired up the Aston and I was away. It was all rather different, the noise, the physical effort, the rush of the wind. But the mileage I had done in my BMW 507, rushing around to Grands Prix, was a step in the right direction. I did about 10 laps, finding my way around the circuit, and then stopped. Reg was beaming, as he did. I put a little extra padding behind me and away I went again, this time using more of the road, getting apexes a little closer and putting some power down. It felt good, very driveable; through the chicane I felt oversteer for virtually the very first time." What John didn't know was that Parnell had this thing carefully planned from the start. "I was enjoying myself when I stopped. Reg came over with a bigger grin on his face, and handed me a piece of paper. He said it was a contract. '"No,' I replied, 'I'm a motorcyclist.' He said, 'Well, come again.'" But Vandervell kept to his word and promised to send David York and a couple of Vanwalls down to Goodwood. These were the proper Tony Brooks and Stirling Moss Grand Prix machines and Surtees revelled in them. David York and the Vanwall mechanics were delighted to go out to work again and were fired on by John's times dropping every lap. Surtees recalls his first experience in the cars: "You had to climb on the back wheel and drop yourself into the cockpit. Out on the track, the engine came in with more of a bang, and there was much popping and banging on the overrun, typical of a direct-injection engine. The steering was lighter, everything happened just a little bit faster, and you could certainly see where you were putting those open wheels." In the end, Surtees managed a best of 1.28.2, faster than any other Vanwall had previously gone at Goodwood. So now John had two contracts to choose from! He went with neither of them but instead decided to go it alone. As a favour, he did race Vanwall's new design for the disastrous Intercontinental Formula at what turned out to be the series' single race at Silverstone but that would be the end of the Vanwall connection. Four-wheeled fever had forever got hold of Surtees, however. At the start of the 1960 season he told Count Agusta he would be doing some car races when the schedule permitted. Agusta, seeing his plans scuppered, shouted, "We will build you a car!" Surtees rightly answered that Agusta should stay with what he knew best: motorcycles. The decision to start on his own was then cemented by acquiring a Cooper-Climax F2 chassis from John Cooper himself. But before his first race he'd met with Ken Tyrrell who put him in his brand new Cooper-Austin F Junior car. At his debut race at Goodwood (where else?) he immediately fought for the lead but lost out to Jim Clark's works Lotus. "I just got pipped because I forgot I had four wheels for a moment." His second place had not gone unnoticed and two races later he was asked by Colin Chapman to drive the Lotus 18 F1 car, first as a fourth-car entry at Monaco, later replacing poor Alan Stacey. At Silverstone - his second F1 race - he stormed through to second, while at Oporto - the next GP not to clash with his Agusta commitments - he took pole. By the year's end he had quit MV Agusta to become a full-time racing driver. He was to get acquainted with F1 contract wranglings very soon for Colin Chapman made quite a mess of finalizing his 1961 line-up. So Surtees bailed out of Lotus, finally took up Parnell's offer and signed to drive one of his ex-works Cooper-Climax T53s, backed by the Yeoman Credit finance company. After a season in the Parnell-run Bowmaker Lola Mk4, taking pole on its debut, Surtees went south and wound up as the Ferrari lead driver. Not for long Big John won his first GP, at the Nürburgring no less, before battling it out with Jim Clark for the 1964 championship. It must be said that had the Ferrari F1 race team received the attention it has today, Surtees would probably have sewn up the championship much earlier. Now he had Ferrari's Le Mans efforts to contend with, season after season ruining his early-season prospects as the Scuderia effectively abandoned F1 development to prepare for the Big Race against Ford, who in 1964 had the nerve to try and buy out Ferrari! With Le Mans out of the way Surtees' championship momentum picked up and he started mounting a challenge. Although Clark obviously remained the fastest driver around, Surtees was able to get one back on the man who had kept him from winning his first motor race. Thanks to Lorenzo Bandini's faithful backing and banging the more consistent Surtees pipped Graham Hill by a point after a strong finish to the season in the V8 Ferrari, while Jim Clark suffered a disastrous run of breakdowns in his Lotus 33. At his championship-winning race we had the peculiar spectacle of Ferraris not running in their usual scarlet colours. This was yet another occasion of Ferrari politics. So what happened that the works Ferraris turned out at Watkins Glen and Mexico in the white and blue colours of the North American Racing Team? An argument with the Italian Automobile Federation was the root of all this. Subject was the disputed homologation of the 250LM sportscar over which a huge row broke out between the two parties, since the Italian federation refused to back Ferrari's case against the FIA - a case which wasn't one, actually, since Ferrari built not nearly enough 250LMs to reach the homologation level of 100. So the Old Man decided he would start one of his frenzied ravings. Someone was bound to pay attention in Ferrari-loving Italy. Well, maybe the press was, but the ACI wasn't. Enzo Ferrari was to have none of it and angrily announced he would relinquish his Italian license and that his cars would never be painted red again. Ah, if that's the deal, then you can have it your way, the Italian federation must have thought, and it responded by allowing Ferrari to pull off his "gesture". So, as a result of this hot-blooded and counterproductive decision, the Ferrari cars appeared at Watkins Glen in the national American colours and were entered by Luigi Chinetti's North American Racing Team, Chinetti being the US Ferrari concessionnaire. In fact, and forgotten by many, for the first race of the 1965 season at Kyalami the argument was still unresolved. Although the cars were back in their red livery they were entered by team manager Eugenio Dragoni, as Ferrari still hadn't got his entrants license back… At the start of March, just before the Race of Champions, the conflict was finally resolved. A year later Ferrari used the same ploy when it was entangled in a legal argument with Dunlop. Again in Mexico, Ferrari fielded a NART entry, this time for Rodriguez to drive the Firestone semi-slick tyres without breaking their regular tyre contract with Dunlop. The switch to the difficult 12-cylinder caused Surtees' title defense to stall in 1965, although Clark was long gone by then. A horrific practice accident at Mosport in his Lola sportscar cut his season short and almost ended his life, but John's fighting recovery was remarkable, to the point he was back at the wheel for the 1966 season. Even with Le Mans diluting the Prancing Horse's efforts as ever, Ferrari looked best prepared for the new 3-litre era and a new title was looming in the distance. But after an emphatic win at Spa John fell out with Ferrari team manager Dragoni and left for Cooper to join Jochen Rindt. At the season-closing Mexican GP Surtees did give Cooper its last victory (and first since 1962) but both titles had already gone to the reliable Brabham team. Two-timing in the United States he won the inaugural CanAm championship in a Lola. Fearless John then joined Honda, taking the RA300 "Hondola" to a famous slipstream win on its debut at the 1967 Italian GP. He drove the noisy V12-engined car into 1968 and saw his career slip away after Honda decided to pull out of F1 in the wake of Schlesser's awful accident at Rouen. The man of 11 fastest laps languished with BRM in one of their worst seasons before deciding to go it alone - again. This time it would prove to be a more serious effort than buying an F2 Cooper and not racing it, Surtees jumping on the racer-becomes-constructor bandwagon at the start of 1970. He raced an interim McLaren M7C for a while before announcing the TS7. Its successor TS9 would be Surtees' breakthrough car, comeback driver Mike Hailwood taking it to great heights. However, luck would desert the team in crucial moments. During the early seventies, the Surtees marque had its heyday in other categories - F5000 and F2. The team's founder won his last two races in his own F2 cars and at one time Surtees machines were definitely the ones to have in F5000 - as Frank Gardner and Mike Hailwood will testify on Gijs van Lennep wrapping up the 1972 title in the TS11. In F1 a slow descent was set in with the TS14, its powerful line-up of Hailwood and Carlos Pace never really getting to grips with it. Also because of Surtees' ill health the Surtees F1 effort would peter out without having its day of glory. It did have its day of controversy though when introducing Durex as its new main sponsor. Jokes on the subject are best not repeated here, although a hospitalized but much mellowed John did manage to sway his ward sister into marriage. 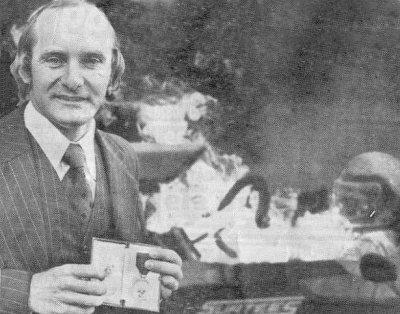 By then, Mike Hailwood, the ex-motorbike racer who got closest to a win for Surtees, had left the sport a disillusioned man. Contrary to Surtees' double career - John leaving motorcycles altogether after switching to F1 - Mike Hailwood's was in fact a five-fold one. With the millionaire's son unable to make up his mind, he switched back and forth between bikes and F1 five times! Again Reg Parnell was instrumental in persuading a bike racer to try and make it on four wheels. 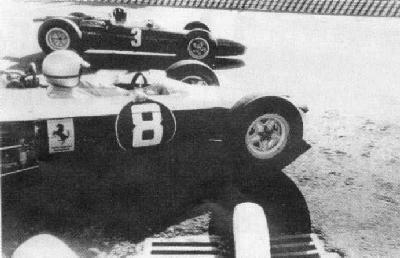 Hailwood's first spell in racing cars started in 1963. This was after having accumulated nine motorcycling world championships in the 500cc, 350cc and 250cc classes - in three seasons! As with Surtees, a short acquaintance with a Formula Junior car was enough for the shooting-star biker to prove himself able to race in F1. Two encouraging end-of-season performances in Parnell's elderly Lotus 24 and Lola Mk4 cars saw Mike getting ready for his first full F1 season. Things got off to a good start, Mike scoring his first championship point at the Monaco GP (pictured here). For any other driver that result would have been greeted with joy, but Hailwood's competitive spirit - which turned him into arguably the greatest motorbike racer of the sixties - felt it came up short. Being a midfielder in a year-old car made him pine for bike racing and so "Mike The Bike" left F1 after the 1965 Monaco GP, not long after Reg Parnell had died. It wasn't the last the F1 circus had seen of Hailwood, though. With Honda pulling out of GP bike racing he turned to cars once again, this time splitting his efforts between F5000 and sportscars. In 1971 he completed a Lola one-two in F5000 for Epstein's Speed International team, finishing runner-up to champion Frank Gardner. Then John Surtees, the only F1 team owner who could really appreciate what a talented biker could do in a fast car, gave Hailwood a third-car entry for the 1971 Italian GP. It was to be a magnificent comeback. 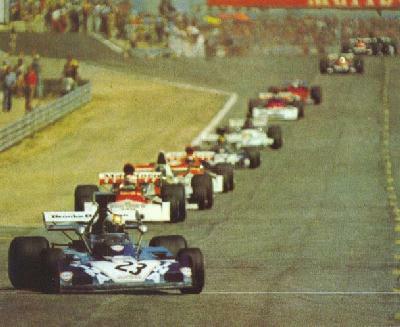 Mike diced for the lead with Peter Gethin, Ronnie Peterson and François Cevert and looked like a good bet for the win. Eventually he finished fourth at just 0.180s, but no-one had done better in the TS9. For 1972, everyone expected Hailwood and Surtees to be frontrunners. They actually were, in F2 to be precise, where Mike took the title, but that was just a consolation prize. 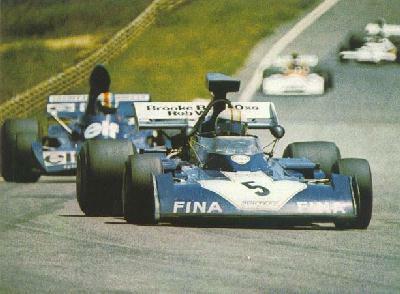 In F1 the combination also looked lethal at times, but luck was definitely not on their side. 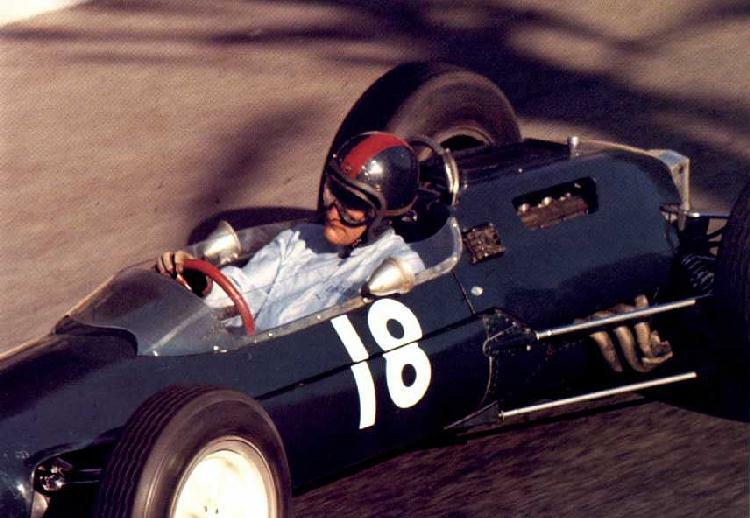 In the opening race Hailwood harried Jackie Stewart for the lead after qualifying fourth, while at Monza he was leading when his airbox flew off. Thus the win they thoroughly deserved remained elusive. Even more so when the unreliability virus hit the new TS14 in a bad way: Hailwood would not score a single point in 1973. These pictures (in Argentina and at Zolder) are testimony to that. Not even heading the midfield pack at Ricard or Interlagos brought him close to some championship points. Hailwood had centre stage during the infamous journalists' pitlane blockade at the 'Ring - Roger Williamson's Zandvoort tragedy and the subsequent vitriolic remarks by the press on the drivers racing on afterwards had been the root of this evil, the GPDA wanting to ban all journalists and cameramen from the pit area. It was a season to forget anyway but it saw bravery too, and in the case of David Purley and Mike Hailwood it came in large helpings. No doubt Mike's greatest achievement of 1973 came at Kyalami, where he would be remembered - and honoured - for rescueing Clay Regazzoni from a blazing Ferrari wreck. His final season in a Yardley-liveried third McLaren turned him into a front-runner again, Mike notching up points here and there before a bad accident at the 'Ring left him with two broken legs. His F1 career was over. His motor cycling career wasn't, however. In the late seventies he returned to his former love by become an Isle of Man TT competitor once more. On his return in 1978 he amazingly won the F1 event on a Ducati and took the Senior TT and the lap record a year later. The king of comebacks would end his reign in 1981, however, when a road accident took Mike's life. When John Surtees, a former motorcycle world champion was racing for his elusive F1 title, another former bike racer, called Stanley Michael Bailey Hailwood just scored his first point in Grand Prix racing. The 1961 motorcycle world champion made his debut in cars driving Formula Juniors. By 1963 he was into F1! Mike the Bike, as he was better known was racing for Reg Parnell in a Lotus 24-Climax. The Englishman made his debut at Silverstone, and finished his first Grand Prix race in 8th position, although 4 laps behind winner Jim Clark. He made another appearance at Monza where he crossed the line in 10th place. For 1964, still with Parnell, he switched to a Lotus 25-BRM and became an almost regular championship contender. Meanwhile he continued to race on two wheels as well, and collected no less then nine world championship titles throughout his carrier. In 1965 he did just one race in F1, spending most of his time with bikes, and sometimes sportscars. This was the case in the following few years as well. Then in 1969 at Le Mans, Hailwood ended the 24-hour torture in 3rd place paired with David Hobbs. They drove a John Wyer Automotive Engines entered Ford GT40. 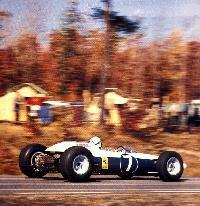 Finally it was none other than John Surtees who gave another chance to Mike to came back to F1. Big John entered Hailwood for only two races, but it was enough for him to show up a creditable 4th place at Monza. By now he raced Surtees cars in different categories and took the 1972 F2 title comfortably with his Surtees TS10-Ford. That year also marked his best Grand Prix result to date, as he finished in 2nd place at Monza, benefiting form the retirements of the two Ferraris of Ickx and Reutemann. He also finished 2nd at the Race of Champions. A contrast to that, Hailwood wasn't able to score a single point in 1973. 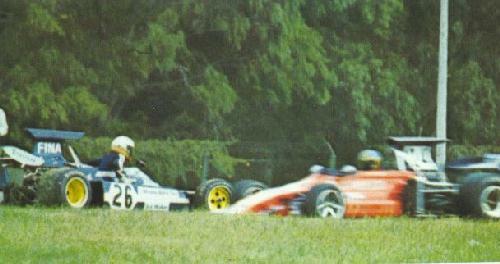 At Kyalami, he collided with Jacky Ickx and Clay Regazzoni on lap 3 and the latter's car caught fire. Hailwood bravely rescued Regazzoni from the burning car and suffered severe burns to his hands. Later he was awarded the George Medal for his bravery. The following year things changed for the better. He left Surtees for McLaren and drove the Yardley sponsored M23. Everything started well, as he was able to show up a rostrum position in only his third race with the team. But a couple of months later at the German Grand Prix he crashed and broke his leg. He decided to quit after this accident. Later he came back to race, this time once again on two wheels. He won the legendary Isle of Man Tourist Trophy race again, which in total he won an amazing twelve times. At the end of 1979 he ended his racing carrier for good. His was enjoying his life with his wife and two children, until he suffered a road accident while on his way to buy some fish & chips for his family. On a foggy Spring evening, a truck was attempting to make an illegal U-turn but its wheels got stuck in the median. In the fog Mike drove into the truck. His daughter died at the scene while his young son survived. Mike lived for two days in intensive care and then succumbed to his injuries. Who could be the next motorcycle world champion to enter F1? Well, Max Biaggi already tried a Ferrari and wasn't that bad. But nowadays to get to F1 is much more difficult than it used to be. Biaggi's appearance certainly would add some spice to the world of Grand Prix racing. John Surtees is a curious figure in Formula 1 Racing. At least he is to me. First of all we all know this man as the single person to be World Motorcycling Champion and F1 Champion. This alone assures his name to be in the record books. After winning no less then 7 World titles on 2 wheels he met Tony Vandervell, Mike Hawthorn and Reg Parnell on an annual sports meeting, and they asked him why he did not try to race a car instead of a motorbike. Well, when the time was right, Surtees drove a few laps in an Aston Martin after which he was immediately offered a contract by Tony Vandervell. Thinking it was too early to get into F1 without experience he declined the offer. But he eventually would embark on the car racing adventure. He accepted an offer by Ken Tyrrell to drive Formula Junior. Surtees also bought a F2 car to learn as much as possible. And John was fast from the start. He finished 2nd in his first Formula Junior race, and then second again in his first F2 race! So it wasn't before long or John received an invitation from Colin Chapman to race for his Lotus F1 Team. And he repeated his previous performances by finishing 2nd in his 2nd race. But Colin Chapman was in a ugly situation for picking drivers for the next season. John didn't agree with the way Colin treated the contract with Innes Ireland, and he decided not to drive for Lotus again. The fact that the cars were known to be very unreliable also played a small role in the decision. John Surtees did not like politics in sport much at all. But funnily, Surtees would be haunted by it for his entire career. Surtees decided to join the Yeoman Credit Racing Team who he expected would be running works Coopers, but they only got ordinary Coopers and naturally Surtees did not score many results with them. Things got a little better in 1962, when the team, now under the Bowmaker banner got involved with the Lola project. John Surtees was giving more and more technical input into the team and he nearly got a GP win with them. He did actually win a non-championship race at Mallory Park, but in the end the team was still lacking speed compared to the top teams. John was now looking for a team where he could get some solid results. He didn't want to go back to Lotus because of the car's reputation of losing wheels, so Ferrari sounded like a good choice. He started off driving some sports car events for the red team. But the Ferraristi where in a mess. Their last good result was the 1961 title by Phil Hill, but he had left the team together with Chiti and Tavoni. By this time Forghieri, later to be a Ferrari constructor, was already in the team, but he didn't have a real position yet. Nevertheless the team introduced a new car late in the season that was based on Forghieri's half-monocoque car, specially designed for the new V8 engine. Before this, Surtees had already won the German GP and the non-championship Mediterranean GP to put Ferrari back among the top teams, although they were still lacking engine power. Ferrari of all teams! 1964 was a strange season. For Surtees it started off with several mechanical failures, but the new V8 and the new chassis ran smoothly in the second part of the season. Surtees had noticed what Ferrari was doing. Ferrari was building sports cars on one side, and F1 cars on the other side. They had a V6, V8 and V12 engine which they were developing, but as one can imagine, there was a bit of work here, and a bit of work there. And while other constructors concentrated on either F1 or sports cars, Ferrari was developing the sports car in the beginning of the year in order to make it for Le Mans, and the rest of the time, the team spent on the F1 project. Nevertheless, Surtees won the title that year after a dubious crash between Hill, his rival, and Bandini, his teammate. But Surtees was dissatisfied with the way Ferrari was going, and he was not shy to say this either. But Enzo did not really have receptive ears, and the relationship became more tense. This also lead to the North American Racing blue Ferrari we see here which John raced at Watkins Glen and later at Mexico City where he took the title. John had tried the latest 3-litre sports car from Ferrari but was very disappointed with it. Ferrari was lagging behind in development even to the American sports car scene. When he told Enzo this, the Big Italian man told him to go and drive his Lola then. And so he did. In 1965, Ferrari used the new V12 engine, but Surtees still preferred the old V8, in which he would also score better results then with the new V12. It seemed John was proving right about the Ferrari development. But Enzo was stuck in a political situation with a takeover from FIAT. John was now looking for a new drive, and he opted for Cooper and joined Jochen Rindt as teammate. He brought his technical knowledge from Ferrari to the team and by the end of the season, John would clinch the first victory for Cooper since 1962. But the team suffered variuous technical failures, and was basically underfinanced. He then made another bold move by joining Honda. Now Honda actually told him they had financial support problems and could only run 1 car optimally. Surtees was also active on the sports car scene and won the Can-Am series (in Lola) with 3 wins. For Honda, Surtees was exactly the driver they were looking for. Someone with technical ability who could help in developing the car. But Honda was indeed lacking financial support. And development was slow in coming until the new RA300 (the "Hondola"), a Lola-based chassis was ready for the Italian Grand Prix, and Surtees just managed to win the race by half a car's length! John again competed in the Can-Am series but this time he took 3rd place with 1 win. 1968 was a disappointing year for Surtees. The Honda had too many technical failures, the project was abandoned by the end of the year and John moved to BRM. But there was this political situation again. Owen and Stanley were having disagreements on how the team should be run, and it reflected poor on the results and the reliability of the car. With already having built some succesful cars for the F5000 series in the US, John Surtees decided to also build a F1 car. The money was assured by Rob Walker and Brooke Bond Oxo, and so the team had their sponsor, and that's how it started. But John was involved in too many things at once. He was giving technical input, driving, handling the financial side. Some drivers were complaining about him running too many things by himself. 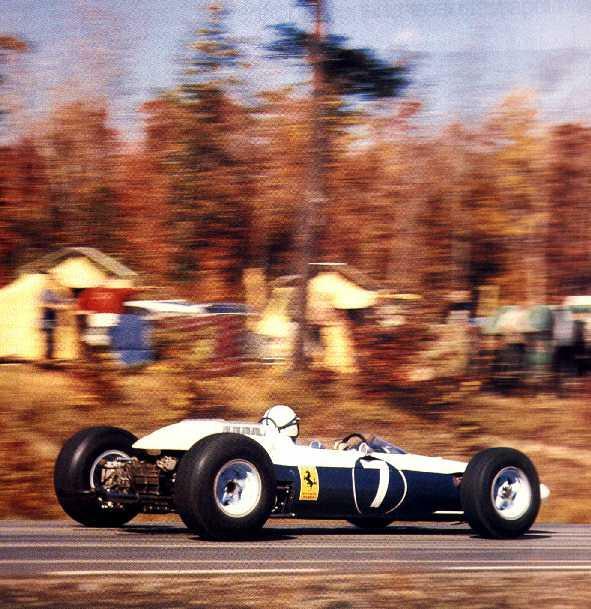 John then quit the driving part, and his last successes in F1 racing was a 3rd place at the International Trophy. In his final year of F2, he won at Fuji and Imola. The team actually gradually improved and when they got their first real sponsor, Bang & Olufsen, they never ended up paying, and with the health problems of John, he decided to close the books.